Grey Edge offers certificate course in 3DS Max design in Mumbai to students that equip them with 3D rendering & animation skills. This course covers several aspects including lighting, scene setting, interior design and landscape design, camera movement and animation. With our range of 3Ds Max Training Courses in Mumbai, students will learn to work with interior and architectural drawings and layout of all kinds. Rendering and Mental Ray is also a part of this course. This course is divided into levels for beginners, intermediate and advanced. For beginners, our trainers provide students knowledge about essential tools for creating architectural designs and animations. 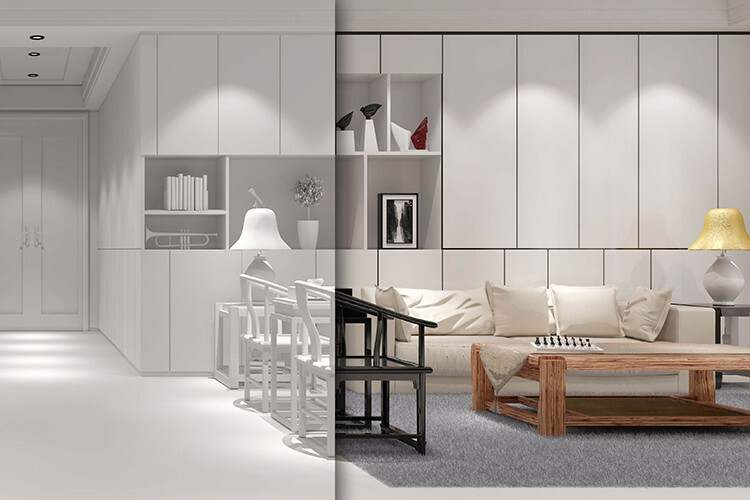 It covers all aspects of 3D design visualization process by applying tools necessary in producing visualizations. Our trainers in this level help students understand the basic fundamentals involved in this software. For students already a bit familiar with 3Ds Max, Grey Edge offer the intermediate course. This level focuses on numerous elements of the software including structural elements of a building, like the walls, windows, doors etc. and other site object types such as curbs, roads, sidewalks etc. Our trainers in this level provide information of applying important tools which are essential for creating visualizations applicable to industry standards. In the advanced level, Grey Edge equip students with complex modelling features that help in designing visualization projects and apply modelling tools to create unique modelling techniques by observing exercises and visual examples. Students get familiar with commands, critical modifiers, modelling tricks and tips which enable them to improve their skills and broaden their current work portfolio.